55th Fighter Squadron ( 55th FS) known as the “Fightin Fifty Fifth” started their roots in San Antonio, TX Kelly Field back in 1917. They did not get their aircraft till 1912 flying the P-12E. In World War II, they flew the P-38 and P51 fighting the skies of Europe. Cold war ear flying the early jets F-84, F-100 and eventually go into the F-111E as tactical strike bomber units of the Tactical Air Command. 55th FS flew the Hogs A-10A for a short period of time from 1994 to 1997 in Shaw AFB. 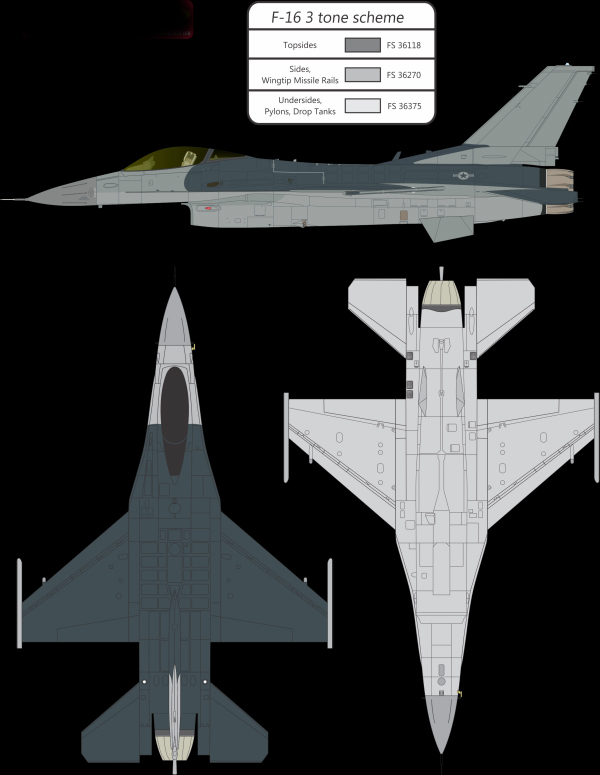 1997 marked the Viper era flying the F-16CM Blk 50 specializing in SEAD and DEAD ( Suppression and Destruction of Enemy Air Defense ) mission. 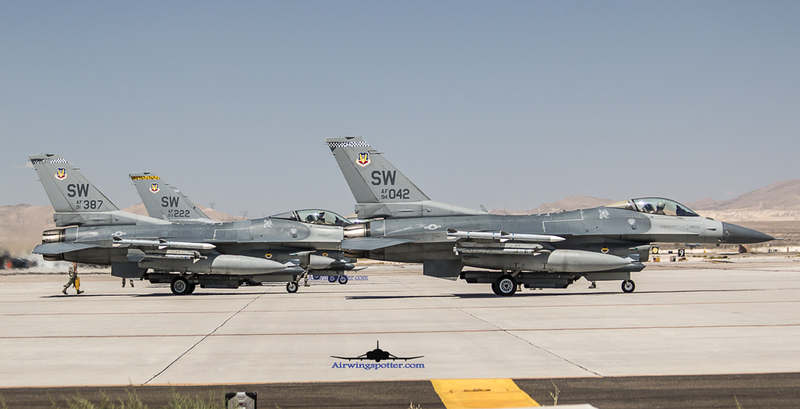 As seen in Red Flag 15-3, all aircraft are loaded with the following SEAD configuration of 2x AIM9x, 2x AIM-120, 2x AGM-88, ALQ-184 or the ALQ-131 ECM pod , HTS and Sniper XR pod. Aircraft Camouflage pattern is the standard 3 tone Hill scheme of FS 36118, FS 36270 and FS 36375 grey colors as shown in the color chart below. The tail consists of a white and blue checkered tailband with the squadron logo included. The ‘SW’ tailcode (for Shaw) is in the center of the tail with the Air Combat Command logo in between them. The serial is situated on the base of the tail.